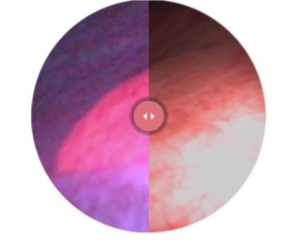 Blue Light Cystoscopy (BLC™) with Cysview® is included in U.S. and international industry guidelines. These key industry organizations acknowledge the clinical value of this cutting-edge drug-device technology. The American Urological Association and the Society of Urologic Oncology included this statement in their 2016 guideline. 1 American Urological Association. Diagnosis and Treatment of Non-Muscle Invasive Bladder Cancer: AUA/SUO Guideline. American Urological Association. 2016. 2 National Comprehensive Cancer Network. NCCN Clinical Practice Guidelines-Bladder Cancer. December 2018; Version 1. 2019. Accessed January 25, 2019.